I’m very excited to welcome Jody Hedlund to my blog today for an interview. 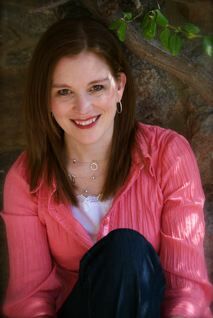 Jody Hedlund is an award-winning historical romance novelist and author of the best-selling books The Preacher’s Bride and The Doctor’s Lady. She received a bachelor’s degree from Taylor University and a master’s from the University of Wisconsin, both in Social Work. Currently she makes her home in Michigan with her husband and five busy children. At the end of this interview, I’ll give you a chance to win a copy of Jody’s newest book, Unending Devotion. Marcy: As a historical fiction writer, what tricks have you found to help keep anachronisms, modern day ideas, and modern day dialogue from sneaking into your work? Marcy: How do you manage to keep your dialogue true to the time period without allowing it to sound stilted? Marcy: When you reached the point that you were ready to begin querying agents, how did you decide which agents to contact? Jody: Since I write inspirational historical fiction, I used Michael Hyatt’s list of Literary Agents who represent Christian authors. I researched the agents further by visiting their websites/blogs, looking at their guidelines, authors they already represent, and books they’ve sold. I also checked ACFW’s website for the list of agents that attend their annual conference. The list specifies what kinds of projects agents are actively seeking. Marcy: What’s the biggest myth about being a published novelist that you think it’s important for new writers to realize is a myth? Marcy: What would you say is the secret to your social media success? Do you have any questions for Jody about writing historical fiction (or writing in general)? What do you like/dislike about historical fiction? To be entered to win, all you have to do is leave a comment below (but I’d love it if you’d also share this post to help spread the word about Jody’s new book). SPECIAL REMINDER FROM MARCY: This is your last chance to register for How to Write Faster and Make the Most of Your Limited Time. The class starts October 13th, and costs only $30. Time is also running out to register for Story In A Sentence: Creating Your Logline, starting October 15th. (Cost is only $40). Marcy, fabulous post by Jody! She has such a fantastic blog that is an amazing resource and inspiration for writers and readers. I don’t write historical but never realized the additional challenge there with not only NOT adding in modern dialogue, but also being true to the time period.I have a new respect for historical fiction writers now. Great interview! I love what you have to say, Jody, about being careful not to think that publishing your debut novel is the end of the journey and that there are so many more mountains to climb. Helpful, encouraging, and spot on! I came here via Twitter to find exactly what I needed to keep working on my historical fiction. Hard work and more hard work. A very useful post. Thank you! That was one of the advantages/disadvantages Lisa and I found when researching the Scythians and Amazons. There’s a very limited amount of information on them, and a lot of it is contradictory. We did our best to find what accurate information we could and then filled in the blanks using other info from similar societies (like the Spartans). I was so excited when I heard about Jody’s new book. I’m looking forward to reading it. Would love to win a copy! This is a fabulous interview. I was so glad to read that Jody researched the list on Michael Hyatt’s site as that is what I am currently doing! What a great confirmation. The tips are so helpful and encouraging. Thanks Marcy and Jody! Jody (and you) always have valuable information. I love Jody’s blog. Thanks to both of you for posting this here. This is SO encouraging to me. I really needed this today. Jody, as always, really brings quality answers and tips. Hi Everyone! I’m so glad to hear that the post resonated for many of you! I’m always excited to learn new things, so I’m right there with you all! 🙂 I wish you all the best as you craft your stories. And a big thank you to Marcy for hosting me on her blog! Thanks, Marcy!! I read The Doctor’s Lady and loved it. Jody is an awesome author. Best wishes with Unending Devotion and all your books, Jody. Nice interview, Marcy. I’m glad you reposted these tips. Very valuable info! As a long time follower of Jody’s blog, I can testify that she is a dedicated follower of her own rules. Congratulations Jody, on your newest success. Loved this interview, Marcy and Jody! Although I write nonfiction at the moment, my secret love is historical fiction. Great tips here, especially regarding dialogue and assigning key phrases to characters.